Behavioral issues represent an array of problems which are usually seen in different environments, i.e. home and school, and typically interfere with functioning of the individual in one or more areas. 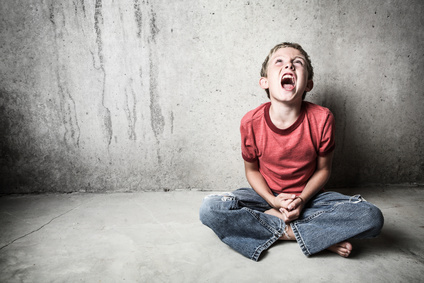 There are a variety of disorders which manifest as behavioral problems, and clinical expertise is needed to accurately diagnose and treat these challenging behaviors. The caring, competent psychologists at PC&A will work with the individual (typically child or adolescent), parental figures, and physician, if necessary, to improve current functioning and provide better skills to facilitate a brighter future. Attention Deficit Hyperactivity Disorder – This neurodevelopmental disorder typically manifests in early to mid-childhood and is characterized by inattention and/or hyperactivity and impulsivity. It is more common in males than females. Difficulties focusing on a teacher, finishing a task, sitting still, or controlling verbal responses are common. This disorder is best treated by medication management through a physician and cognitive behavioral therapy with a therapist. Appropriate treatment can greatly improve academic and social functioning. Oppositional Defiant Disorder– This disorder is usually characterized by lack of respect of authority. It manifests in an angry/irritable mood, defiant behavior and at times vindictiveness, which is developmentally inappropriate, either in intensity or frequency. Oppositional/defiant behavior can interfere with academic functioning, family relationships, and social functioning. If left untreated, problems are likely to worsen. Prognosis improves with earlier diagnosis and treatment. Conduct Disorder – This is more severe than Oppositional-Defiant Disorder and is characterized by the clear violation of the rights of others or societal rules/norms. Bullying others, use of weapons, theft, physical cruelty, and fire-setting are some possible behaviors. This disorder can greatly impact functioning, especially academically, socially, and occupationally. Legal issues may become a problem. Once again, early and intensive treatment is necessary for the best outcomes. Appropriate and early intervention with behavioral disorders greatly improves prognosis. The incidence of co-occurring additional diagnoses such as depression, anxiety, and substance abuse are higher with behavioral disorders. PC&A staff are skilled at assessing for co-morbid conditions. Psychologists at PC&A understand behavioral issues and can provide comprehensive treatment for each individual.